Portuguese is spoken by around 250 million people all over the world and is the sixth most spoken language in the world. 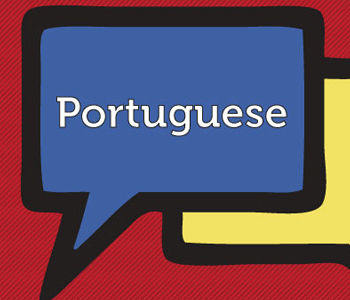 Portuguese is the official language in countries like Portugal, Brazil, Angola, Mozambique, Guinea-Bissau, Cape Verde etc. Portuguese is also still spoken in many other past colonies of Portugal. Portuguese is the most widely spoken language in Brazil where the FIFA World Cup 2014 is taking place. FIFA World Cup is an extremely popular football event and millions of fans are expected to throng to Brazil in the coming days to watch the football world cup matches. If you are one of those millions visiting Brazil and Portuguese is not your native language, it is high time you start learning Portuguese. Even if you hate football and don’t intend to visit Brazil, you still need to learn to read or speak Portuguese language when visiting any of the countries where it is an official language. 1. Duolingo: Duolingo is a very popular app to learn Portuguese language on both iOS and Android platforms. The app is very easy to use and has well structured language lessons. Duolingo app can also be used to learn English, Spanish, French, German and Italian. 2. Learn Portuguese with Babbel: The Portuguese language learning app from Babbel is suitable for beginners as well as advanced learners. The app trains you with pictures, pronunciations and example sentences. Babbel also offers language learning lessons in English, Spanish, French, German, Italian, Swedish, Polish, Dutch, Turkish and Indonesian. 3. Learn Portuguese FREE – AccelaStudy: The Learn Portuguese app from AccelaStudy is only available for iOS. The app has various features like native speaker audio for all words, searchable dictionary, complete hands free mode to learn while driving etc. 4. Busuu: The biggest asset of Busuu is its community of around forty million native language speakers. You can practice your lessons with native speakers and get feedback from them. Learning any foreign language from natives makes the whole process a lot easier. You can also learn English, Spanish, French, Italian, German, Japanese, Chinese, Polish, Russian and Turkish with the Busuu app. 5. Travel Portuguese Futebol Edition: This is a free app from Rosetta Stone and is aimed at folks going to Brazil for the FIFA World Cup 2014. The app teaches you Portuguese soccer terms and phrases and also the basic Portuguese terms related to shopping, food & dining, transit & lodging etc. These are the top 5 best iOS and Android apps to learn Portuguese language.